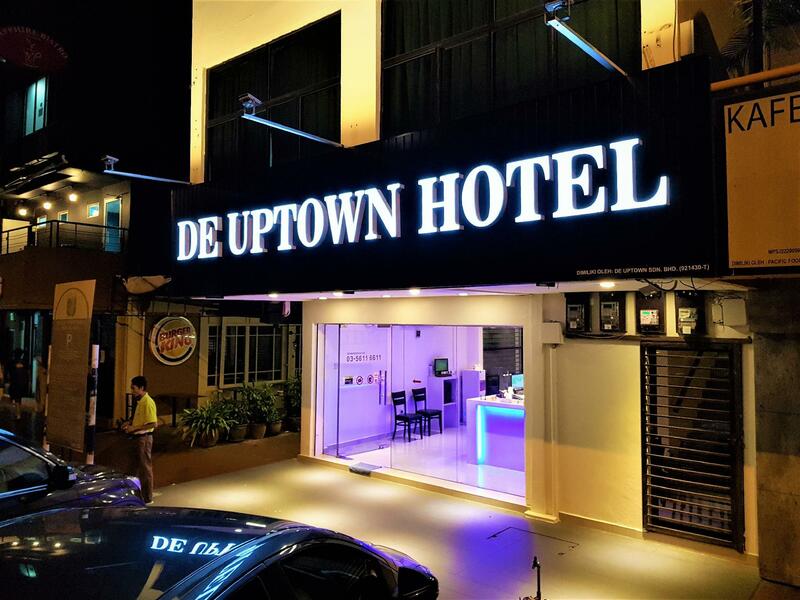 Heeft u een vraag voor De UPTOWN Hotel Subang Jaya? 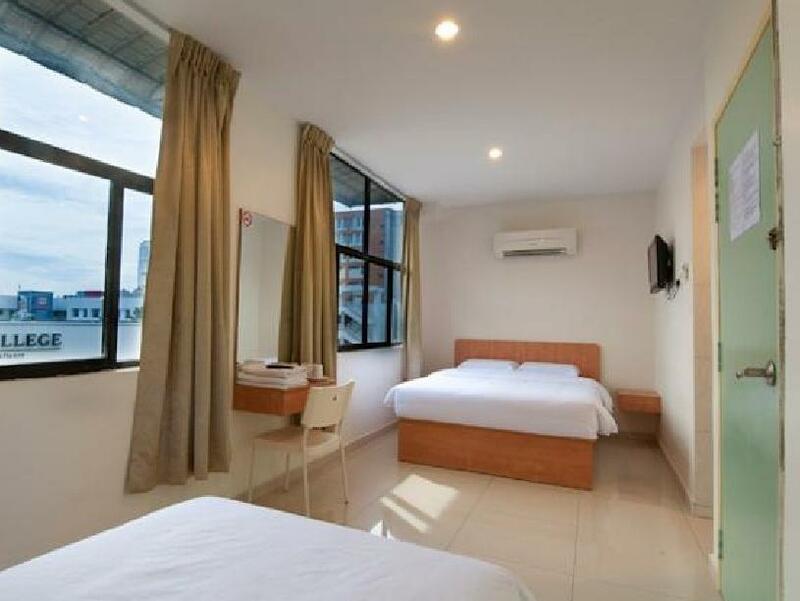 Goed gelegen in Subang, is het De Uptown Hotel Subang Jaya het ideale vertrekpunt voor uw excursies in Kuala Lumpur. Het hotel ligt 19.9 km van het stadscentrum en de belangrijkste faciliteiten zijn dus goed bereikbaar. Een baken van rust en ontspanning: dit hotel is het perfecte verblijf op steenworp afstand van bezienswaardigheden als Subang Jaya Medical Center, Subang Parade winkelcentrum, Koninklijke Subang Golf Club. Het De Uptown Hotel Subang Jaya biedt tevens vele faciliteiten om uw verblijf in Kuala Lumpur zo aangenaam mogelijk te maken. Voor het comfort en gemak van de gasten biedt het hotel parkeerplaats, lift. Ervaar kamerfaciliteiten van hoge kwaliteit, inclusief plasma tv, spiegel, handdoeken, draadloos internet (gratis), airconditioning, om tot rust te komen na een lange dag. Daarnaast garanderen de talrijke recreatieve mogelijkheden dat u zich tijdens uw verblijf kunt vermaken in het hotel. Als u zoekt naar comfort en gemak in Kuala Lumpur, dan is het De Uptown Hotel Subang Jaya uw thuis ver weg van huis. The room was much more smaller than I expected. There is hardly any extra spaces in the room. The staff was friendly. The location is nice, and there is no need to worry about getting to other places as you can get a public transport quite easily. Staff very helpful. Parking on premises was limit. hotel is still well maintained after years of operating. so far still in good condition. unlike some budget hotel with nasty pillows and toilet. recommended! Staff is friendly and very helpful. Good location, near to INTI college and lots of fast food nearby. Convenient, with family mart, and fast food nearby, very friendly staff, clean room. facility is just basic and nothing much to comment. There are a lot of eateries nearby and offer various type of food 24 hours. So no worry of getting sleep with empty stomach. But the area is too crowded and difficult to get packing. It is right in front of the college and the traffic is quite heavy. I'm been told that the heavy traffic is considered good as schooling time is even worse. I have booked and paid (incl tax) by agoda apps, however when we arrived we should pay more for additional tax. Overall this hote in good location, clean and friendly staff. Extremely good location. With convenient stores, game facilities, cafes, and food havens all around the corner. Would definitely return to this hotel that offers great customer service at a budget price when i return for my next food trip. unfortunately,i got room without window but itsok (studio suite) dont have provide free 3 in 1 coffee in room. wifi 2nd floor some time disconected. room not sound proof. car park this area always pack.im lucky get one nearby hotel.